Loay is a coastal town located at the mouth of the Loboc River, about 18.3 kilometers from Tagbilaran City. It lies along the southwestern coast of Bohol. This upcoming and flourishing town is now considered a 5th class municipality with a population of 15,881 people as per the 2007 census. Going to the interior towns of Loboc, Bilar and so forth, one passes by Loay town. Likewise, one will also pass by Loay going to the towns of Lila, Dimiao, Valencia, Garcia-Hernandez, and Guindulman and onwards along the southwestern coast. The town is politically subdivided into 24 barangays, to wit: Agape, Alegria Norte, Alegria Sur, Bonbon, Botoc Occidental, Botoc Oriental, Calvario, Concepcion, Hinawanan, Las Salinas Norte, Las Salinas Sur, Palo, Poblacion Ibabao, Poblacion Ubos, Sagnap, Tambangan, Tangcasan Norte, Tangcasan Sur, Tayong Occidental, Tayong Oriental, Tocdog Dacu, Tocdog Ilaya, Villalimpia and Yanangan. The town covers an area of 3,479 hectares with farming, copra making, peddling, saguran weaving, fishing, tuba gathering and nipa thatch making as the people’s principal industries. The Poblacion is now a hive of activity where many of the town’s commercial establishments are gathered. The town is divided into two parts: the lower called Canipaan because of its many nipa swamps, and the upper called Ibabao because of its elevated location. The Loay Church and its convent are located on a plateau overlooking the sea. Stone steps lead to the church which connects it to the rest of the town located below the hill. 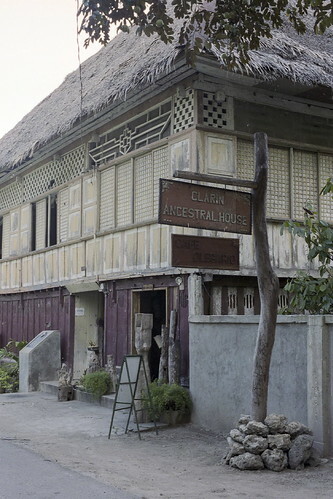 The church can be accessed by motor vehicles via the road to Loboc. One prominent feature of the town is the Plaza. The plaza depicts a Spanish colonial plaza in its simplicity with only a wide open stretch of grassy space devoid of any landscaping and decorative elements. Flanking the plaza are two coral stone buildings: a one-story and a two-story building, both plainly designed and classical to look at. The one-story building is being used by a public school while the two-story building, with the emblem of the Virgin Mary and directly opposite that of the one-story building, is in the process of renovation. The diocese of Tagbilaran is converting this building into an archdiocesan archive for church documents from the Spanish period coming from 38 parishes comprising the diocese. The town celebrates its feast day in May (the date is movable) with the Santisima Trinidad or Blessed Trinity as Patron Saint. One big event is the Sambat Mascara Y Regatta Festival celebrated every 1st Saturday of December in honor of the town’s second Patron Saint, St. Francis Xavier. 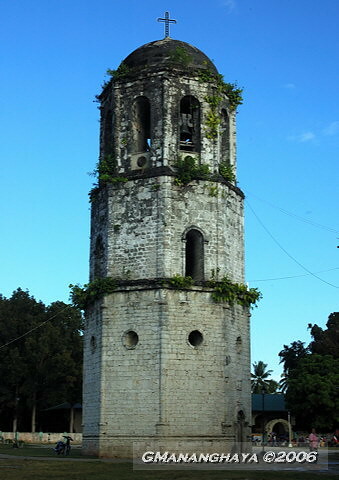 Aside from the Loay Church and the Clarin Ancestral House, the town’s other tourist attractions are the Clarin Beach Resort, the Himontagon Hills, Punta Baluerte, and Rio Vista Heights including the Spanish watchtower at Villalimpia in the lower part of the town. How do you like these Bohol attractions? Do you have a great Bohol story? Tell all the world how lovely are the Bohol islands! Entering your Bohol story is easy to do. Just start typing! Add a photo or video if you want! Your Bohol story will appear on a Web page exactly the way you enter it here. You can wrap a word in square brackets to make it appear bold. For example [my story] would show as my story on the Web page containing your story. Write in short paragraphs. Make it informal. Make it fun! No HTML. They will all be stripped away. All hyperlinks will be the webmaster's option. Do you have a wonderful picture to add? Great! Click the button and find it on your computer. Then select it.